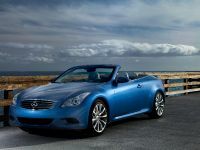 Infiniti has released new pictures and details of its fifth body-style for Europe, the G37 Convertible. 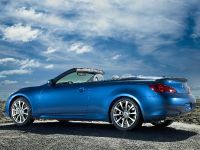 Arguably Infiniti's most seductive car yet, the G37 Convertible will go on sale across Europe from late summer 2009. 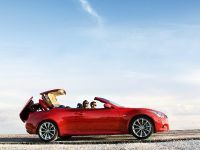 As the latest expression of ‘Inspired Performance' by Infiniti, the G37 Convertible combines beautiful styling, exciting performance and a three-piece retracting hardtop that is designed to look as good with the top up as it does down. 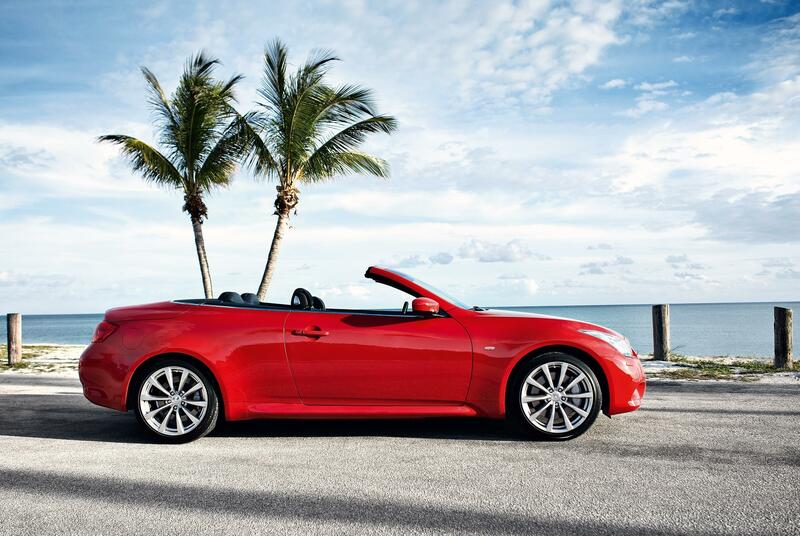 This ‘dual beauty' is a rare event among coupé convertibles. 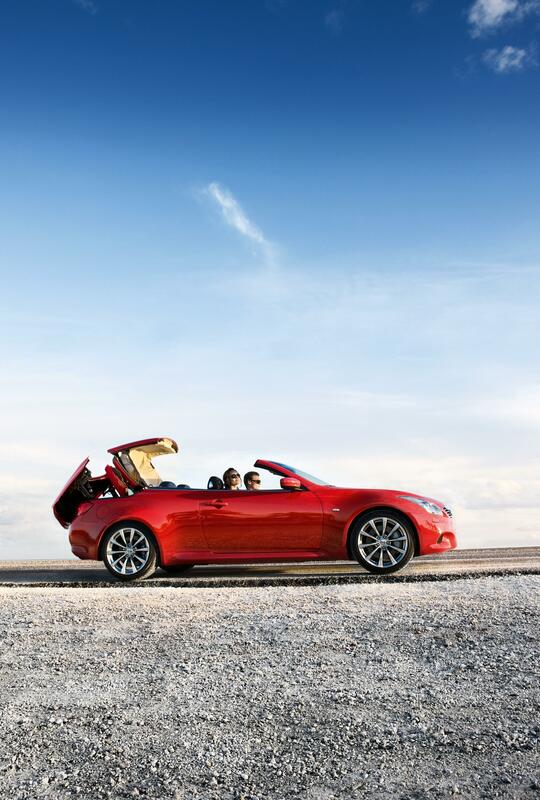 The G37 Convertible offers an all-new design from the A-pillar back compared to the G37 Coupé, with extensive structural reinforcements, a wider rear track, modified rear suspension and a special convertible-focused interior with rear pop-up bar and available headrest audio speakers, wind deflector and climate controlled front seats. 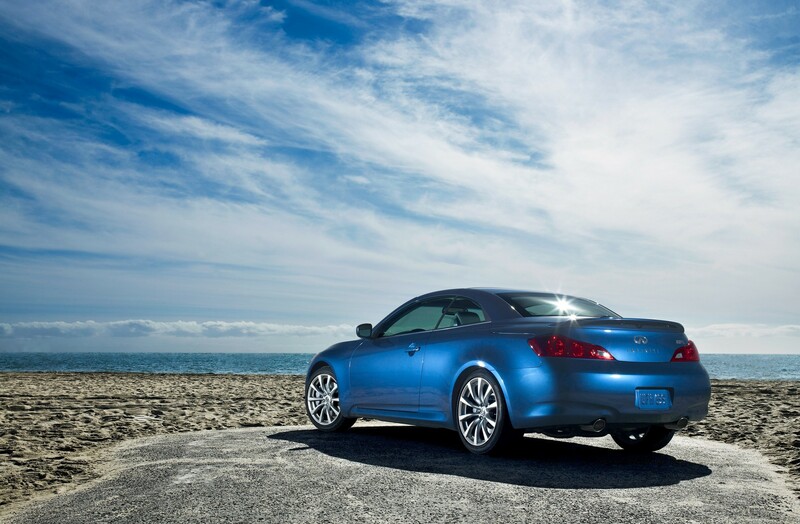 The G37 Convertible, like its coupe sister, is powered by the 3.7-litre VQ-series V6 with VVEL (for Variable Valve Event and Lift) rated at 320PS. 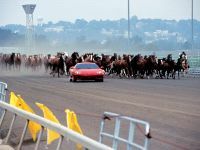 The engine is backed by a choice of an electronically controlled seven-speed automatic transmission with magnesium paddle shifters or a responsive close-ratio six-speed manual transmission. The G37 Convertible's inviting interior includes standard leather seats, an available Bose® open air sound system that dynamically changes equalisation based on outside noise, roof position and vehicle speed, an adaptive dual zone climate control system that adjusts fan speed in accordance to roof position and vehicle speed, and available climate-controlled seats that provide both heating and cooling functions. Uniquely, a rear parking camera is standard. 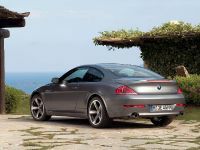 Seductive Styling Inside and Out The G37 Convertible maintains a coupé-like silhouette with the top up through use of a special three-piece ‘clamshell' retractable hardtop, which allows for use of a shorter rear overhang and low boot lid. 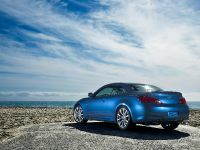 Compared to G Coupé, the G37 Convertible utilises all-new body panels from the A-pillar back, along with a 28mm wider overall width, broader rear track and modified rear suspension. 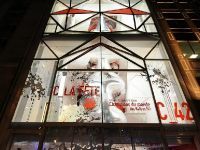 The automatic top opening/closing sequence takes approximately 30 seconds from start to finish. 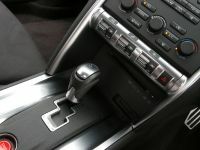 The open/close switch is located on the centre console, just behind the gearshift lever. 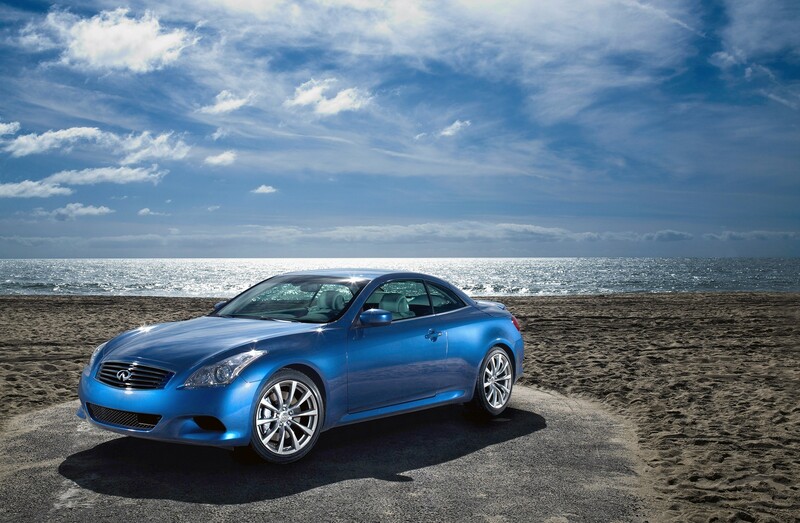 Along with its G Coupé-like proportions, the G37 Convertible offers signature Infiniti styling cues such as flowing front curves, a wave-style aluminium bonnet, expressive front face with double-arch grille and L-shaped High-Intensity Discharge (HID) bi-xenon headlights with integrated fog lamps. At the rear, the taillights are unique to the G37 Convertible, incorporating an inner ‘circle of light' for added distinction at night. 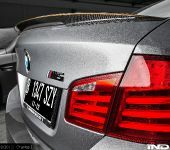 The chrome rear boot-lid finisher incorporates both an integrated high-mount brake-light and the small camera for the standard parking monitor system. 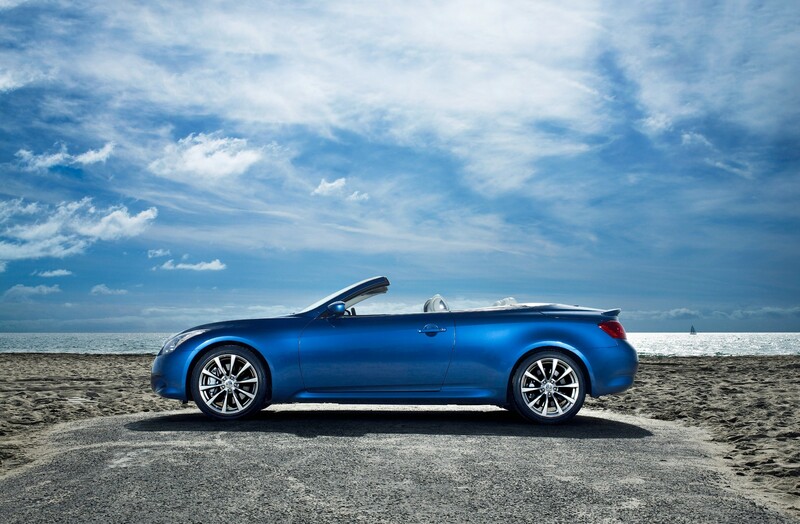 Infiniti's advanced ‘self-healing' Scratch Shield paint is standard with two G37 Convertible-exclusive colours, Midnight Garnet and Pacific Sky. The interior design combines sophistication, craftsmanship and thoughtfulness with unique, available systems created to enhance the open-air driving experience. The driver-oriented cockpit features an Infiniti signature ‘double wave' instrument panel design with Infiniti electroluminescent instrumentation with white-and-violet illumination, integrated multi-function information drive computer display and analogue Infiniti clock. The double hand-stitched leather-covered steering wheel is designed for maximum comfort and usability, with standard wheel-mounted audio and cruise controls. Genuine magnesium paddle shifters are standard for the 7-speed automatic transmission. Special ‘Silk Obi' aluminium interior trim, inspired by fine Japanese silk, is located across the instrument panel, on the centre console and on the door panels in a shape redolent of Japanese spears. Also available are two choices of genuine wood trim. Leather-upholstered seating is standard and is offered in three colours shared with the Coupé – Graphite (black), Wheat and Stone – and a fourth that will be unique to the Convertible. Heated 8-way power driver/8-way front passenger seats are standard, with climate-controlled seats (with heating and cooling functions) available as an option. A power walk-in device with position memory provides easy access to the 2nd row seats (the front seats move forward automatically at the touch of a button to allow passengers into the rear seats). 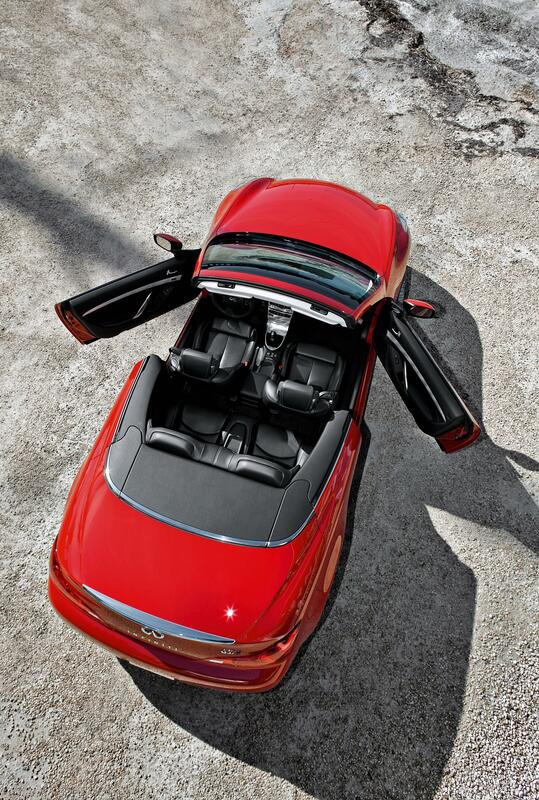 A rear wind deflector helps reduce wind turbulence when the top is down. 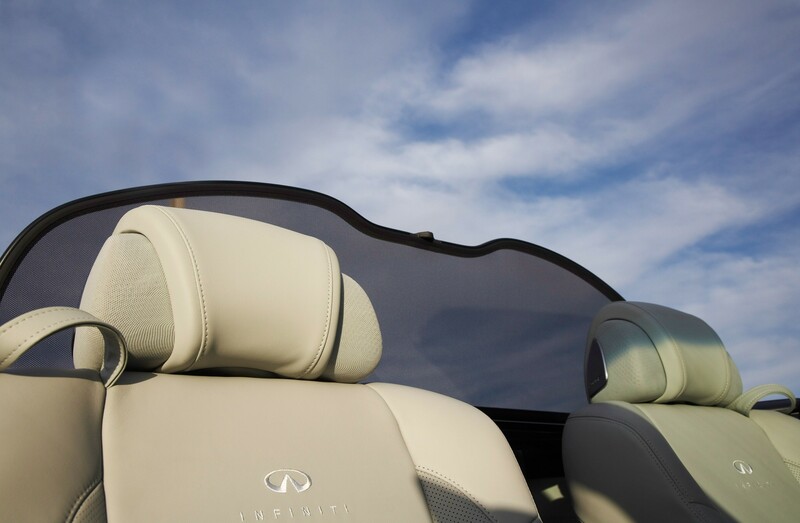 The G37 Convertible's long list of comfort and convenience features includes standard Infiniti Intelligent Key with Push Button Ignition and an Adaptive Dual Zone Climate Control System includes an advanced air conditioning system that adjusts to provide optimal comfort with the top up or down. 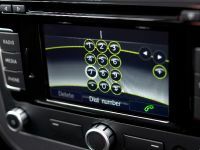 Two audio systems are available, starting with a standard 6-speaker AM/FM/6CD system with MP3 playback capability, Radio Data System (RDS) and centre console-mounted auxiliary input plus 7-inch colour display. The second option is a 13-speaker Infiniti Bose® open air sound system that automatically optimises EQ settings for open/closed top positions. The system's special Bose® Personal Headrest Speakers, mounted in the front seat headrests, enable superior front audio quality regardless of the top position. 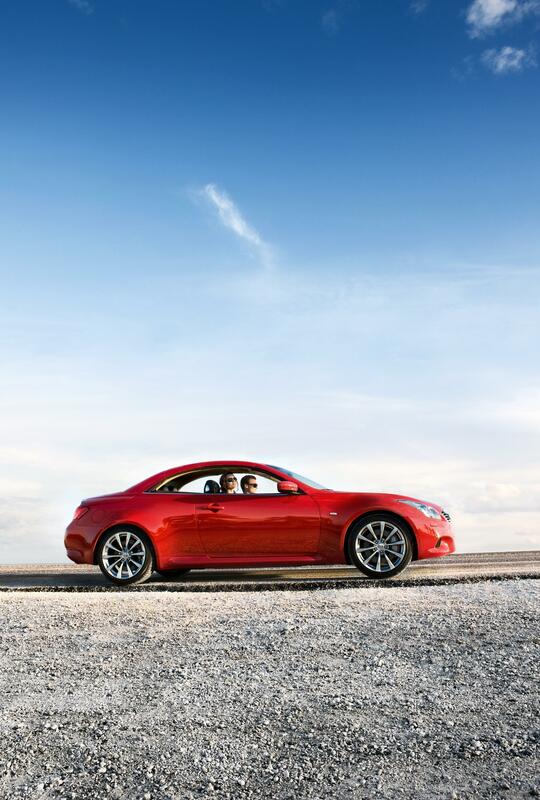 Liberating Dynamic Performance Like the G Coupé and G Sedan, the new G37 Convertible's outstanding dynamic performance credentials start with a combination of its advanced FM platform and award-winning V6 engine. 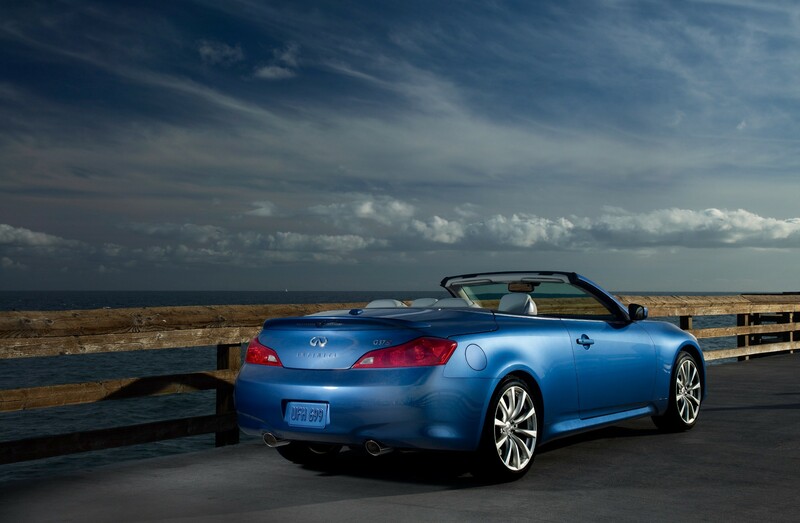 Every G37 Convertible comes equipped with a standard 3.7-litre V6 engine with VVEL (for Variable Valve Event and Lift), rated at 320PS. 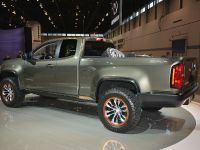 The VVEL system combines hydraulically-controlled variable valve timing and electronically controlled variable valve lift on the intake side, helping to improve not only performance and response but also emissions and fuel efficiency (over a non-VVEL system). It also provides cleaner emissions by allowing for quicker warm-up of the catalyst and by stabilising combustion when the engine is cool. 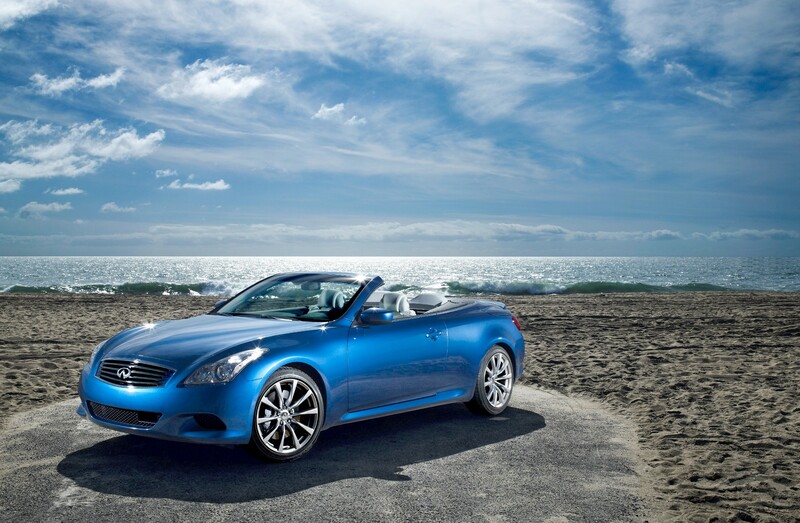 The G37 Convertible is available with a choice of an electronically controlled 7-speed automatic transmission with manual mode, downshift rev matching, Drive Sport (DS) mode and Adaptive Shift Control (ASC) that allows for quicker shifts in sporty driving situations and magnesium paddle shifters; or a responsive, lightweight close-ratio 6-speed manual transmission. 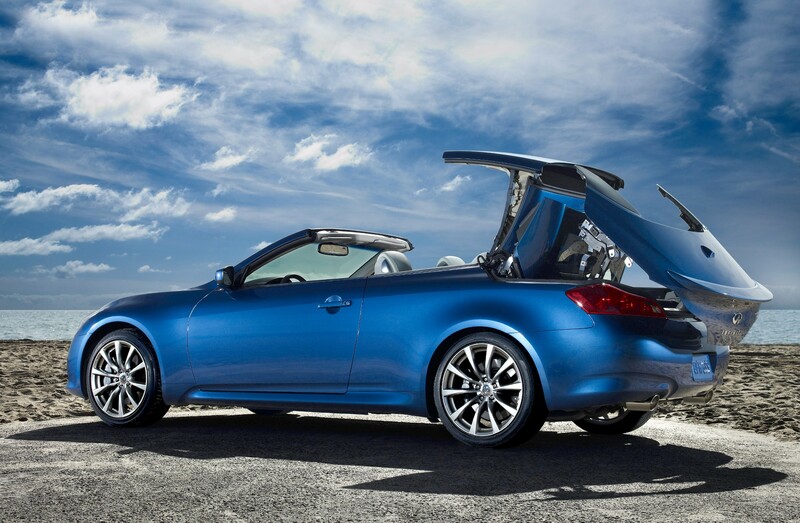 The G37 Convertible's responsive handling and ride performance is provided by its advanced FM (Front Mid-ship) platform design, which optimises front/rear weight balance and creates a rigid, stable foundation for the 4-wheel independent suspension. The front suspension is a double wishbone design, with a single pivot lower wishbone and a long upper link. The multi-link rear suspension separates the shock absorbers and springs, locating the shock absorber in-line with the wheel centre. 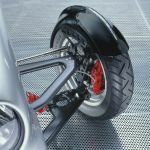 These designs help minimise alignment changes and reduce suspension friction for nimble handling and smooth riding characteristics. Responsive steering is provided by a vehicle-speed-sensing system. Also standard on the G37 Convertible is Vehicle Dynamic Control (VDC) with cancel switch and Traction Control System (TCS). 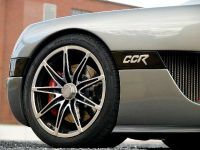 Braking performance is provided by standard 4-wheel vented discs with 4-channel, 4-sensor Anti-lock Braking System (ABS), Electronic Brake force Distribution (EBD) and Brake Assist. 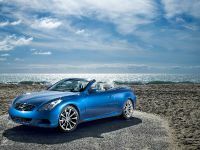 The G37 Convertible will also be available with larger ventilated rotors (14.0-inch front/13.8-inch rear) and aluminium four-piston callipers front/two-piston callipers rear, embossed with Infiniti lettering. 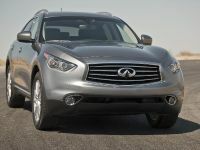 Infiniti's Intelligent Cruise Control (ICC) with Brake Assist, which helps in maintaining a consistent following distance from the car ahead, will be optional. It also identifies sudden braking situations with laser sensors to determine distance and relative speed of the car ahead in the same lane and ‘pre-pressurises' the Brake Assist system before the driver steps on the brake pedal. 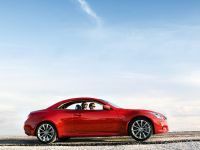 Split 5-spoke 18-inch aluminium-alloy wheels with P225/50VR18 front and P245/45R18 rear tyres are standard on the G37 Convertible, while special 19-inch cast aluminium-alloy wheels with high performance tyres (P225/45WR19 front and P245/40WR19 rear) will be optional. 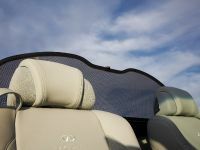 The rear seat includes fixed head restraints with a rear pop-up bar. 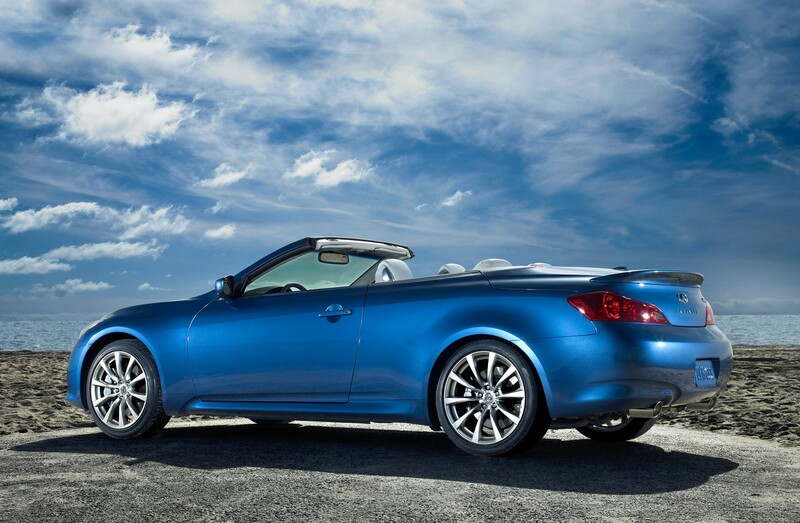 The G37 Convertible also features reinforced front side members, front pillars and body sills. 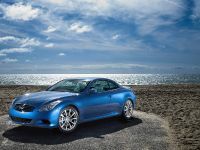 More details about the G37 Convertible's European technical specification, performance figures, equipment levels and pricing will be released closer to its market introduction.